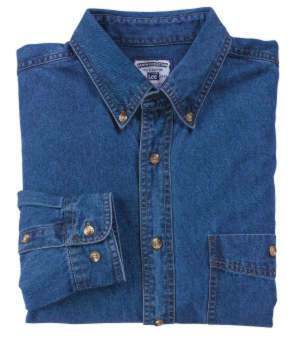 71080 - LEE - Long Sleeve Denim Shirts at a low cost. 8 oz. 100% cotton woven twill denim. No back pleat. Colors available: Black, medium stone, natural, stone bleach. For XXL, add $3.80 each. For XXXL, add $7.80 each. plus $1.35 for each additional one. Embroidery available in quantities of 12 pieces and up. Please inquire.